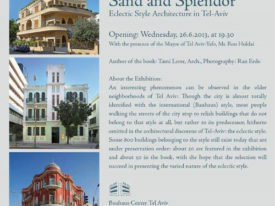 Due to its more than 4,000 white Bauhaus buildings, Tel Aviv is often called ʻThe White Cityʼ. The city centre, mainly created by architects emigrated from Europe in the 1930/40ies under the influence of international modernism of the German Bauhaus, was declared a UNESCO world heritage site in 2003. 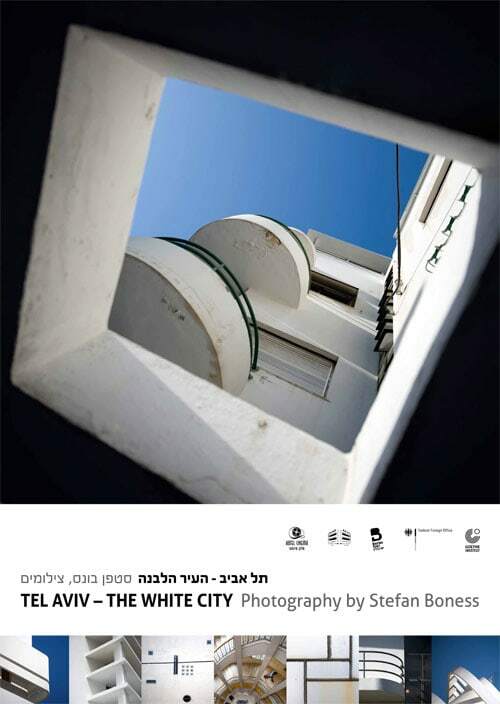 Stefan Boness, German photographer of the highly acclaimed photo book ʻTel Aviv—The White Cityʼ (Jovis Verlag), succeeds in capturing the particularities and unique atmosphere of the city in his photographs. By juxtaposing classical modernism with the contemporary architecture of the city, he demystifies it while simultaneously embedding it in a historical context. Stefan Boness is based in Berlin. His photos have received several awards including a World Press Photo Award. His work is being published in quality magazines and newspapers throughout the world. In his long-term documentary projects in the tradition of conceptual ‘Landscape-Photography’ Stefan Boness captures the reality of a designated place in the present in the context of its underlying historical dimensions.